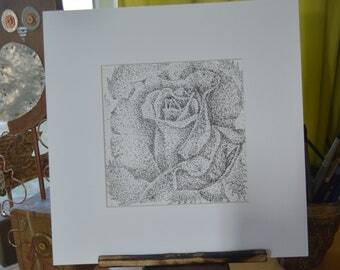 11x14 matted print of butterflies on flowers is a black and white stippled pen & ink drawing. A perfect gift for mothers day. 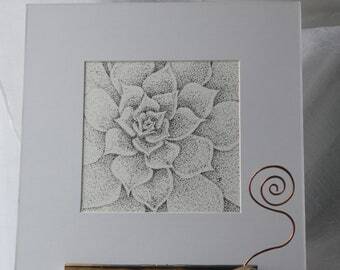 Succulent Rosette is a stippled, pen and ink, original artwork . Personalized pet portraits. Custom Dog Drawing. Perfect for gift!